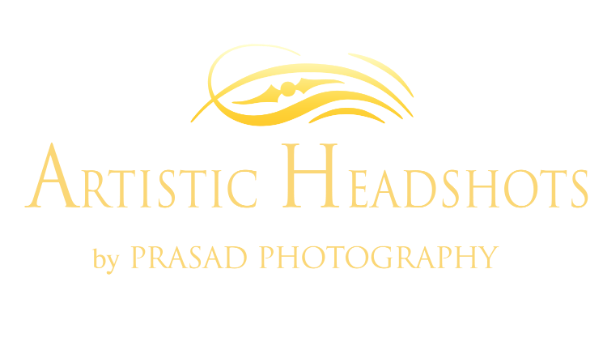 Welcome to Prasad Photography, artists and creators of fine portraiture. 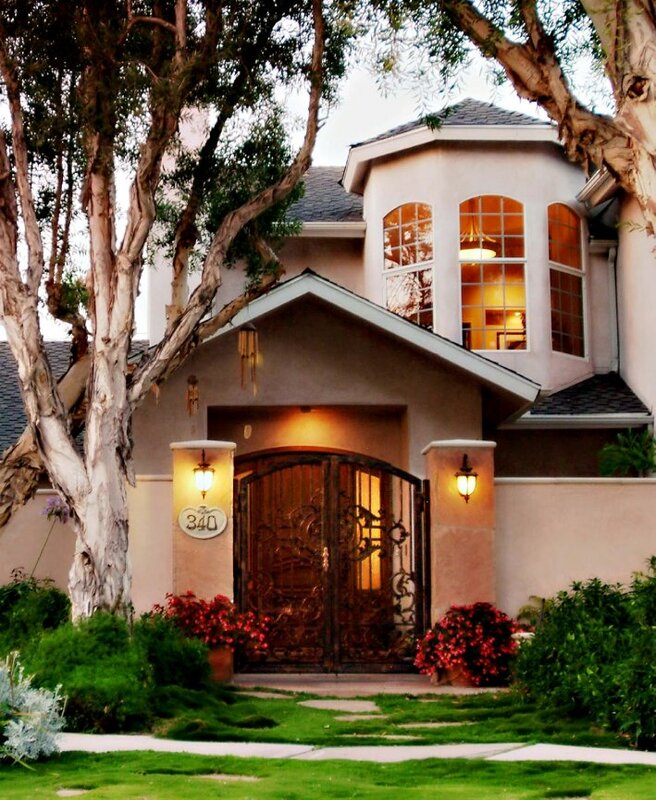 Prasad Photography is a professional portrait photography boutique studio located in Newport Beach, California, creating magnificent portraits for clients of discriminating taste for over 25 years. Our portrait style is classic yet modern. Our goal is to bring out your natural beauty and enhance it to perfection. We work in our private residential studio, our unique garden studio or at a location of your choice. The comfortable environment of our residential studio makes it easy for our clients to relax and feel at home. We work by appointment only so we can devote undivided attention to you and your children. For further information about our studio, please visit http://blog.prasadphoto.com. Whether we are photographing a professional headshot, child portrait or romantic couple, family or business group, we guarantee we will exceed your expectations. We are passionate about what we do and would love to create your dream portrait, a treasure that will last a lifetime. Prasad is internationally recognized for his work in the field of portrait and performing arts photography. He has worked with many well-known personalities, including Luciano Pavarotti, Joel Grey, Elke Sommer, Robert Redford, Dr. Leo Buscaglia, Tennessee Ernie Ford, Cliffe Stone, Dr. Margaret Mead, Dr. Jane Goodall, Dr. Linus Pauling and many others. He spent 13 years as head of the photography department in public television (PBS). His photography has been published in over 25 textbooks and numerous magazines nationwide. He has photographed many professional companies including Mikhail Baryshnikov’s world premiere of Swan Lake with American Ballet Theatre and Rudolf Nureyev’s world premiere of Cinderella with the Paris Opera Ballet. Prasad has had the honor of photographing Mother Teresa and the Dalai Lama of Tibet, two world spiritual leaders who have touched the lives of many on this planet and who have fully integrated love and compassion into their own lives. Both have received the Nobel peace prize. Prasad’s portraits of the Dalai Lama have been featured in a number of publications. In 2000, Maria Turley, a professional painter of portraits and cityscapes, joined Prasad Photography. Maria is a gifted artist whose oil paintings have been exhibited in galleries throughout the United States. Her experience as an artist and a painter has contributed to her becoming an outstanding Photoshop artist who specializes in enhancing the beauty of every image we create. Prasad Photography serves the following Southern California areas: Newport Beach, Anaheim, Irvine, Santa Ana, Orange, Orange County, Laguna Beach, Fullerton, Garden Grove, Newport Beach, Huntington Beach, San Juan Capistrano, Mission Viejo, Buena Park, Anaheim Hills, Laguna Hills, San Clemente, Trabuco Canyon, Tustin, Costa Mesa, Brea, El Toro, Aliso Viejo, La Habra, Westminster, Yorba Linda, Villa Park, Fountain Valley, Dana Point, Laguna Niguel, Laguna Woods. 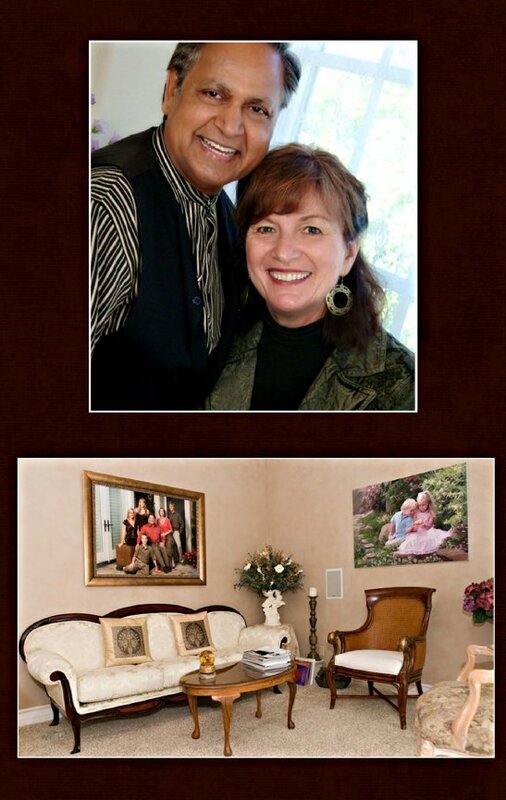 We frequently travel to the Palm Desert area and Northern California to photograph our many clients in those areas. We also travel to many locations both across the nation and around the world to create portraits by commission. Through our experience and expertise, we are able to capture tender moments many people typically don’t see, giving them windows into the hearts of the people they love. We look forward to creating some beautiful memories of you and your loved ones that will last a lifetime!